| Courtesy of NUDM Verona. 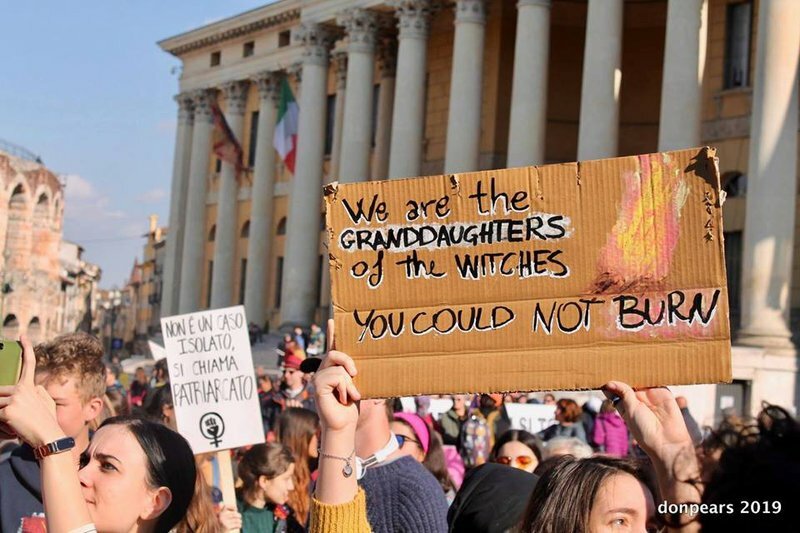 29 March 2019 (openDemocracy)* — Thousands of people – including women from across Europe – are traveling to Verona, Italy to protest the World Congress of Families: a network of US, Russian and other anti-abortion and anti-LGBT rights activists and their political allies. Evgenia will come from Belarus, representing the ADLIGA: women for full citizenship group, to “support like-minded women and men that strongly believe in women’s human rights, full citizenship for women, and the value of individual choice over own life”. 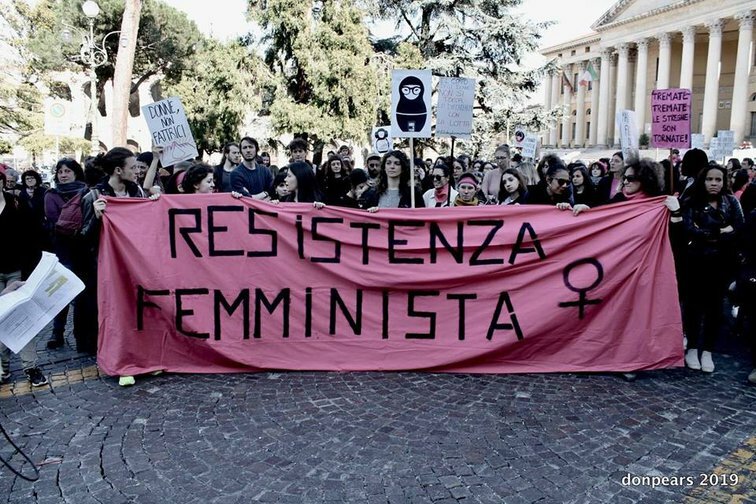 In Belarus, as in Italy, “the control over women’s lives belongs to men. Women are given voice only and when they are loyal to men in power”, said Evgenia. “Some of the positions that will be discussed are baseless and not validated by the international scientific community”, said the university’s rector, adding: “For this reason I denied the use of university spaces to host the event”. *Claudia Torrisi is an Italian freelance journalist focused on social issues such as migration and civil rights. She writes monthly features for openDemocracy 50.50. Follow her on Twitter: @clatorrisi.